EQUUS @ Moonambel opened its Cellar Door on a hill with 360 degree views at Easter 2015. In the heart of the Pyrenees, John Kirkpatrick and Patricia Mullins bought the young vineyard of Shiraz and Cabernet Sauvignon vines in 2005. 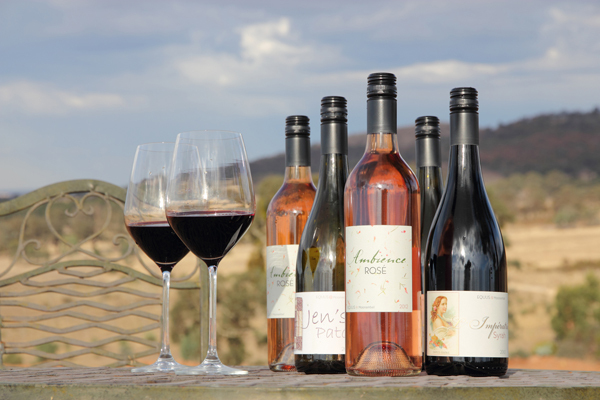 With winemaker, Owen Latta, five vintages have been produced since 2008. Patricia is a children’s book illustrator and writer. Her books can be purchased at the Cellar Door. She also restores antique rocking and carousel horses.